Mr. Yusuf H. Shirazi is a Law graduate (LLB) with BA (Hons.) and JD (Diploma in Journalism) from Punjab University with Role of Honour and AMP Harvard. He served in the Financial Services of the Central Superior Services of Pakistan for eight years where he authored 50 reports as to how the businesses are carried and tax assessed. He was an instructor in the Finance Services Academy on Law and Accounts. He is the author of seven books including “Aid or Trade” adjudged by the Writers Guild as the best book of the year and continues to be a Columnist, particularly on socio-politico-economic matters. Mr. Yusuf H. Shirazi is the Chairman of Atlas Group, which, among others, has Joint Ventures with Honda, GS Yuasa and MAN to name a few. Mr. Shirazi has been the President of Karachi Chamber of Commerce and Industry for two terms. He has also been the Founder Member of Karachi Stock Exchange, Lahore Stock Exchange and International Chamber of Commerce and Industry. He has been on the Board of Harvard Business School Alumni Association and is the Founder President of Harvard Club of Pakistan and Harvard Business School Club of Pakistan. He has also been a visiting Faculty Member at National Defense University, Navy War College and National School of Public Policy. He has been on the Board of Governors of LUMS, GIK and FC College (Chartered University) and Pakistan Institute of Management. Previously, he also served, among others, on the Board of Fauji Foundation, Institute of Management and Computer Sciences (FFIMCS) and Institute of Space Technology – Space & Upper Atmosphere Research Commission (SUPARCO). He has been awarded Sitara-e-Eisaar and Sitara-e-Imtiaz, the top Civilian Awards. Sitara-e-Imtiaz conferred by the Government of Pakistan recognizes individuals who have made an “especially meritorious contribution to the security or national interests of Pakistan, world peace, cultural or other significant public endeavors”. Sitara-e-Eisaar Award is in recognition of CSR activities in Pakistan. A Distinguished Formanite Award for outstanding achievements as an entrepreneur was awarded by Forman Christian College – University Lahore. The Government of Japan has also acknowledged Mr. Shirazi’s contributions to promote economic relationship between the two countries by conferring the Japanese National Award. Mr. Aamir H. Shirazi is the President of Atlas Group. He graduated from Claremont Mckenna College, California and completed his OPM from Harvard Business School. He was the Chief Executive of Atlas Honda Limited for over eleven years. 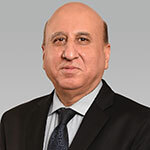 He was also appointed as professional director on the Board of Lahore Stock Exchange for two consecutive terms by the Securities & Exchange Commission of Pakistan. He has been Honorary Consul General of Japan, Lahore since 2002. He is also on the Board of Murree Brewery Company Limited and Total Parco Pakistan Limited. 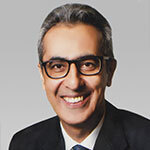 Saquib Shirazi has been the Chief Executive Officer of Atlas Honda Limited since 2000. He is a graduate of the Wharton School of Finance and did his MBA from the Harvard Business School. He started his career with the Bank of Tokyo and was subsequently appointed as the CEO of Atlas BOT Investment Bank. In addition to being a member of the Atlas Group, he is a Director of Pakistan Cables and Vice Chairman of Pakistan Business Council. 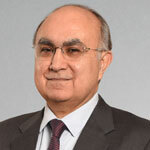 In the past, he has served on the Boards of Pakistan Petroleum Limited, National Refinery Limited, Sui Southern Gas Company Limited, Cherat Cement Limited, Cherat Paper Limited, Privatization Commission of Pakistan and as Chairman PAMA. He has also served on Harvard Business School’s Global Alumni Board and was its President for the years 2006-2008. He is currently a member of Prime Minister’s Business Council, Engineering Development Board, Knowledge Economy Task Force as well as Harvard Business School’s Advisory Board. 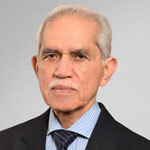 Mr. Frahim Ali Khan has over 47 years of experience in General Management, Finance, Investment and Taxation. He graduated in commerce from University of Karachi in 1965 and also obtained a degree in law from the same university. He also attended the Senior Managers’ Program at Harvard University, USA, Financial Management Program from Stanford University, USA and General Management Program from Insead University, France. 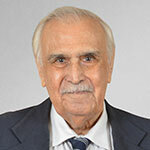 He joined the Atlas Group in 1967 and has served in different positions. Currently, his other directorships include Atlas Battery Limited, Atlas Power Limited, Atlas Engineering Limited, Shirazi Trading Company (Private) Limited, Atlas Hitec (Private) Limited, Atlas Metals (Private) Limited and Atlas Asset Management Limited. Earlier, he has also served on the boards of Atlas Honda Limited and Atlas Insurance Limited and has been CEO of Shirazi Investments (Private) Limited, Shirazi Trading Company (Private) Limited and former Atlas Investment Bank Limited. Mr. Suhail Ahmed is the Group Director Auto Parts of Atlas Group and Chief Executive Officer of Atlas Autos (Pvt.) Limited. He acquired Masters degree in Economics and thereafter obtained a degree in Law from University of Karachi. He also attended various courses including Advanced Management Program at Harvard University, USA. He has 40 years of experience in General Management, Finance, Investment and Taxation. Currently, his other directorships include Atlas Services Limited, Atlas Aluminium (Pvt.) Limited and Atlas Die Casting (Pvt.) Limited. He has also previously served on the Boards of Atlas Engineering Limited.